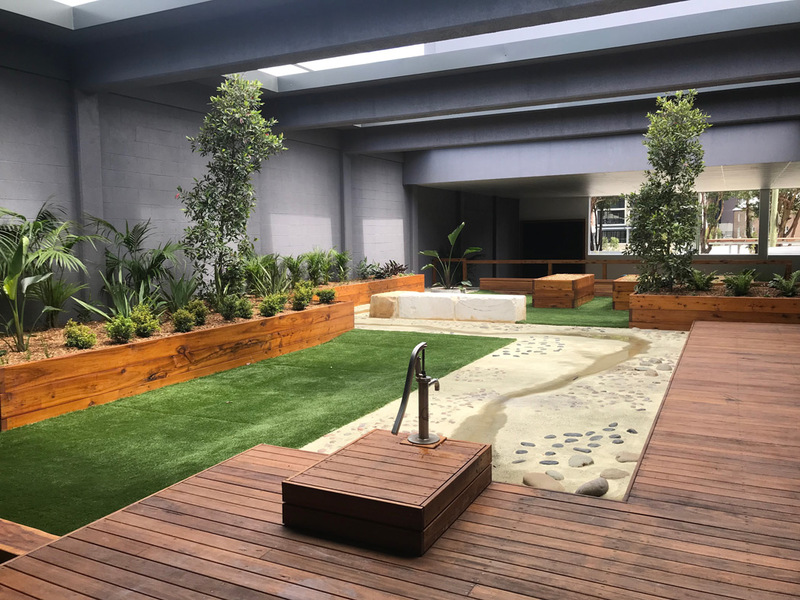 This project transformed an old industrial warehouse into a functional inner city garden oasis . 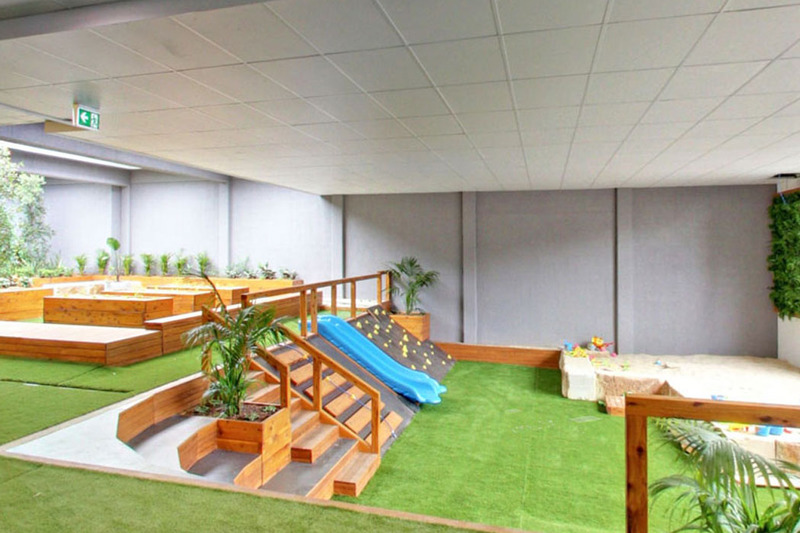 The starting point was a dusty, damp dark warehouse with a palette of concrete on concrete. 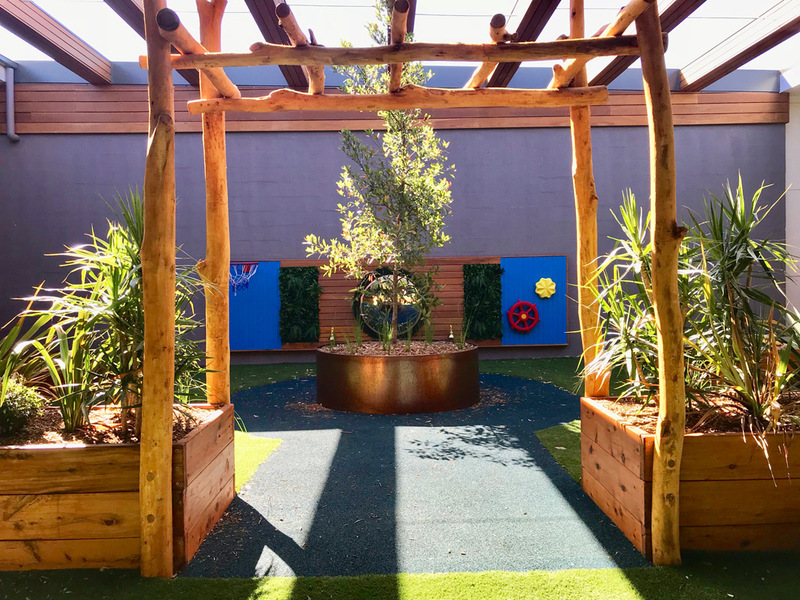 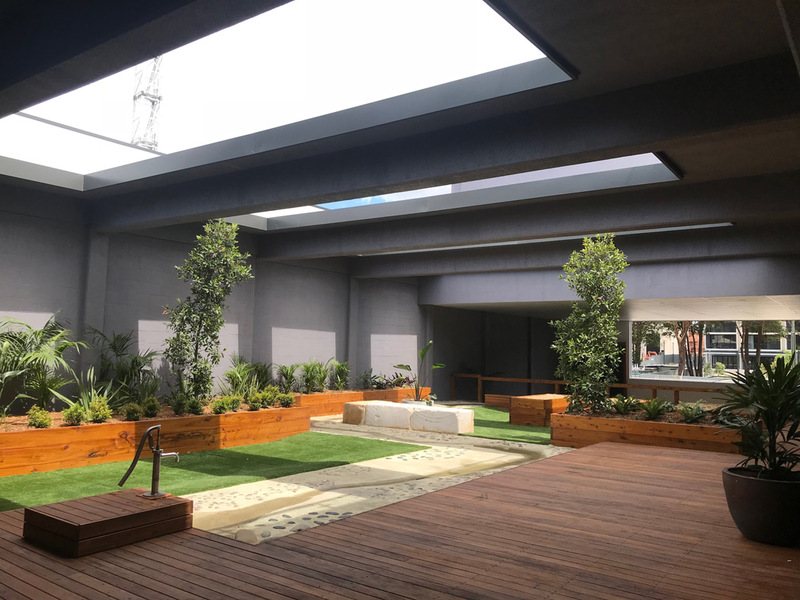 Removing large sections of the suspended concrete roof and repainting walls allowed in much needed sunlight and rainforest inspired planting to establish. 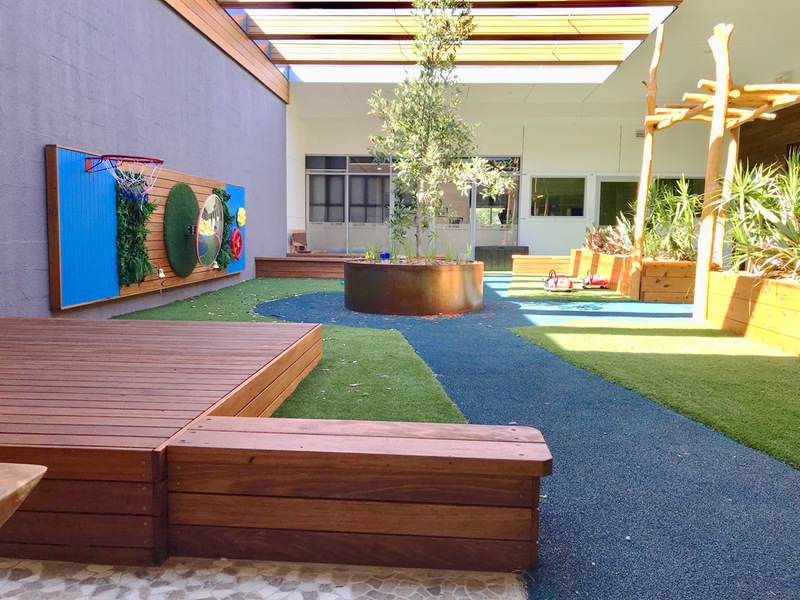 Working within the limited confines of the building envelope we crafted a functional and diverse play space. 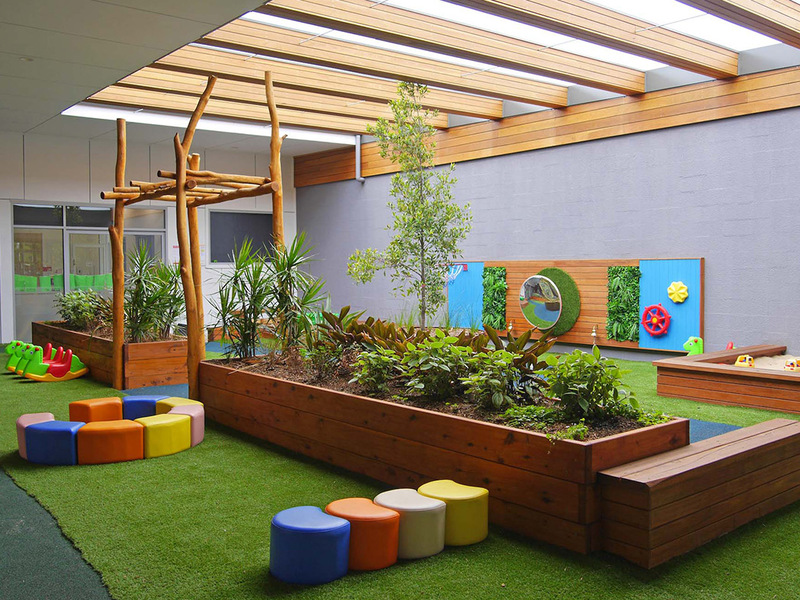 The introduction of natural textures, materials and plants softened and naturalised the area. 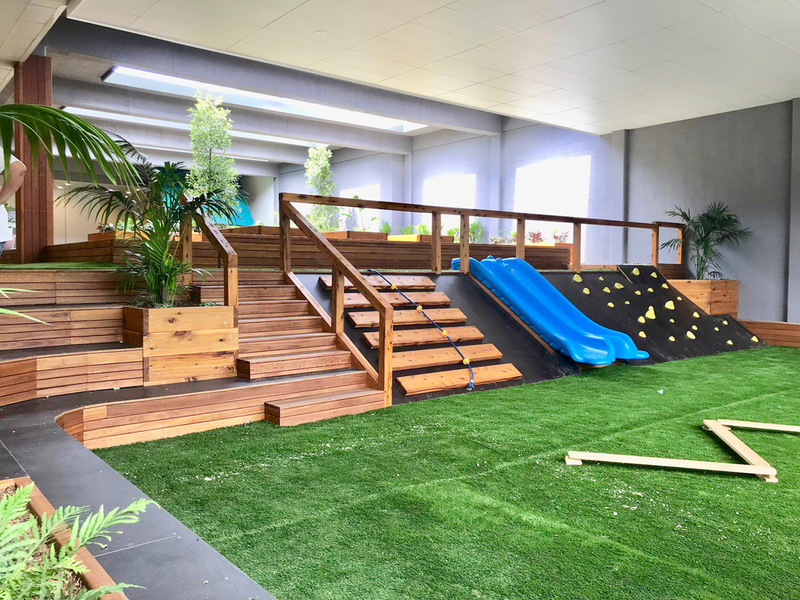 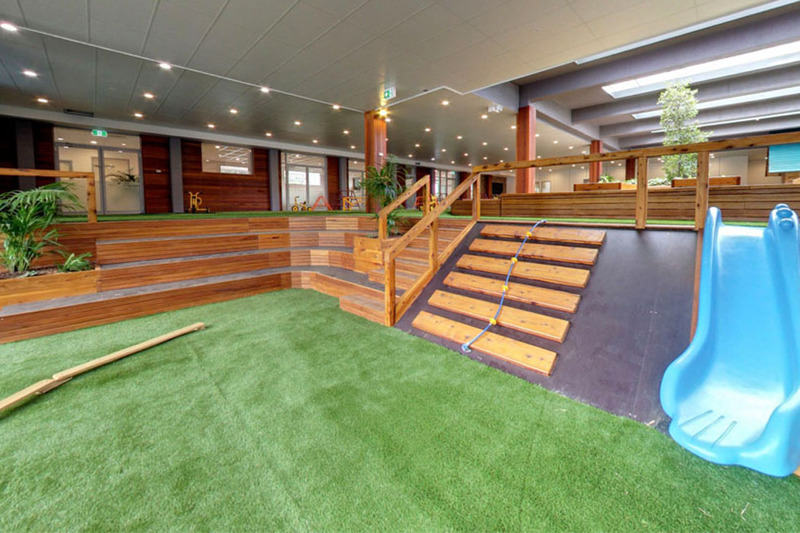 The disused loading dock was transformed into an amphitheatre, climbing wall and double slide while the surrounding grey concrete slabs became bike paths, low decks, cubby houses, sand pits and water play creek bed.